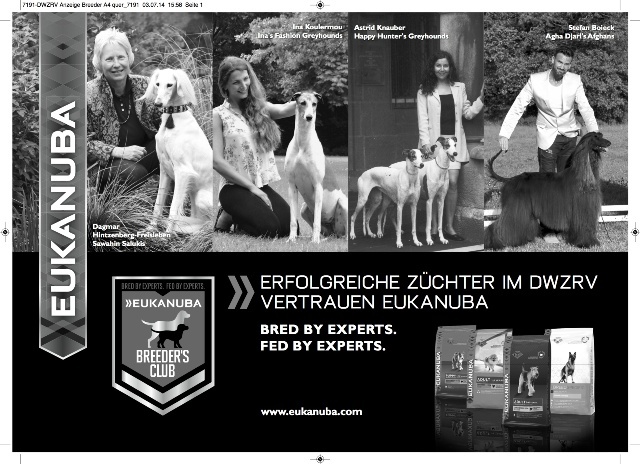 Very happy and proud as a ”young” breeder to be chosen by EUKANUBA Deutschland for their sighthound advertisement among Well Known sighthound breeders with respectful carrier in Breeding , Showing and Lure coursing. It is an absolute Honour ! Thank you!